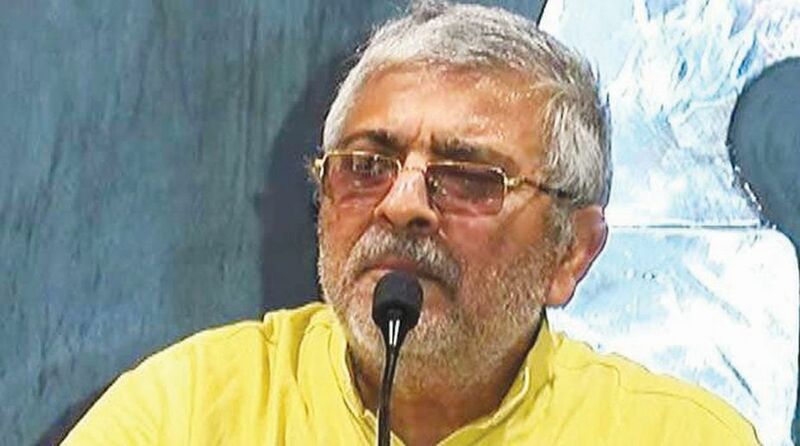 AAP MP Dr Dharamvir Gandhi. Blaming the existing division of resources between Centre-states for bankruptcy of Punjab, suspended Aam Aadmi Party (AAP) member of Parliament, Dr Dharmaveer Singh on Tuesday demanded internal autonomy for the state within the Indian federal structure. Addressing a Press conference, the doctor-turned-politician Dr Gandhi said at present the division of taxes collected from states is in the favor of Centre government even as it’s the states which generate taxes and do all developmental works like education and health. Declaring the agenda of ‘Punjab Forum’, formed by Dr Gandhi, he said Punjab should get the right to control its resources and undertake development. The MP from Patiala said limited autonomy provided to states in the Indian Constitution was usurped by the Centre in the following decades by means of subtle machinations and by force with the result that states have gone bankrupt. “Today, Punjab and most of other states are under debt by lakhs of crores of rupees and most of their budgetary allocation goes out by way of repaying the laons,” he said. Dr Gandhi said Punjab is worst affected as the state’s natural resource – the river waters – has been robbed by deceit and by force in violation of the Section 262 of the Constitution. “The loot of Punjab’s river waters has proved very costly for a loan locked state with almost no opening for trading its agricultural products,” he said. Gandhi said that due to the policies of the Central government, the state government is forced to go to the New Delhi every time and seek financial help. “At present, Punjab has a loan of over Rs Two lakh Crore,” he said adding that the state needs to re-negotiate its relationship with the Centre. Gandhi said that he has read the federal structure around the world and Punjab needs autonomy with the Indian federal structure in order to prosper. “The diversities that India is proud of can blossom only under democratic conditions of a Federal structure based on the principals of freedom and equality. It can only work when states get internal autonomy,” he added.